One of the most exclusive buildings in Central America. This modern office tower boasts 3 banks, a gym, restaurant and market in the lobby, and even has a heliport on the roof. Within the vicinity are quality cafés, shops and restaurants. 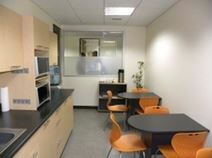 This modern centre offers flexible office space solutions, along with excellent facilities for business meetings, supplemented by world-class support services. Close to the airport, shops, banks and restaurants, as well as various notable embassies. The regional transport links are also excellent and provide a number of frequent and convenient services in operation throughout the surrounding area and beyond, making the center easily accessible. Conveniently located in one of the most prestigious business address of Guatemale City, this building is surrounded by leading companies, offices, restaurants, luxurious hotels, shops and numerous amenities. The building consists of elegant offices, meeting and conference rooms of various size, and offers all the services and facilities needed to run a successful business, with a professional and experienced staff supporting your business in your daily activities. This address enjoys a reputation for housing the region's most prominent and influential design companies. Other residents include furniture makers and other creative professionals. With breathtaking views and great shopping and eating nearby, this ideal is a prestigious venue for your business. Set in a prominent new development, these stylish furnished offices have been designed to make your business run smoothly and effectively. The building is home to a great variety of upmarket shops and numerous fantastic local restaurants and the major regional airport is conveniently close-by. The site is easily accessible via numerous transport links and is the ideal setting for any professional client. 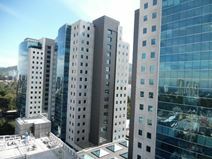 Prestigious serviced offices available in an excellent area in Guatemala City. This office tower features a chic reception/lobby and conference rooms. The building is excellently located, being next to the Hotel Intercontinental, and with a range of other prestigious hotels, shopping malls and restaurants in the area. The international airport is a mere five minutes’ away.